Wise words from Gentem Stick and snow surfing enthusiast Taro Tamai on what is most likely the future of snowboarding. At least for those of us who grew up boarding and are looking for a new angle on an old lifestyle. He looks at the mountains and the sea in a very deep way. A way in which we all should. -So tell me, what is exactly snow surfing for you? T: The feeling I got from skiing was completely different to the one I got surfing in the ocean. But once I stepped on a snowboard I started to link both feelings. It clicked in my mind that they are connected and that it’s the same thing in two different environments. T: No, it’s more like a philosophy, a lifestyle, a way to approach the mountain. Riding a snow surf with no bindings is just one of the ways of doing it. It’s more about seeing the mountain and reading the terrain from a surfer’s point of view. It’s not about the athletic aspect of snowboarding and surfing, but rather like hunting, or fishing. You have to be at the right spot at the right time to make the most of the best conditions. You need to follow Nature’s cycles and think: Ok, today I need to go in this orientation to get the best conditions. Like in surfing, you would choose the spot depending on the wind and the direction of the swell. The same thing applies to the mountains: depending how much it snowed, or which direction the wind blew, you’d go to one place or another. 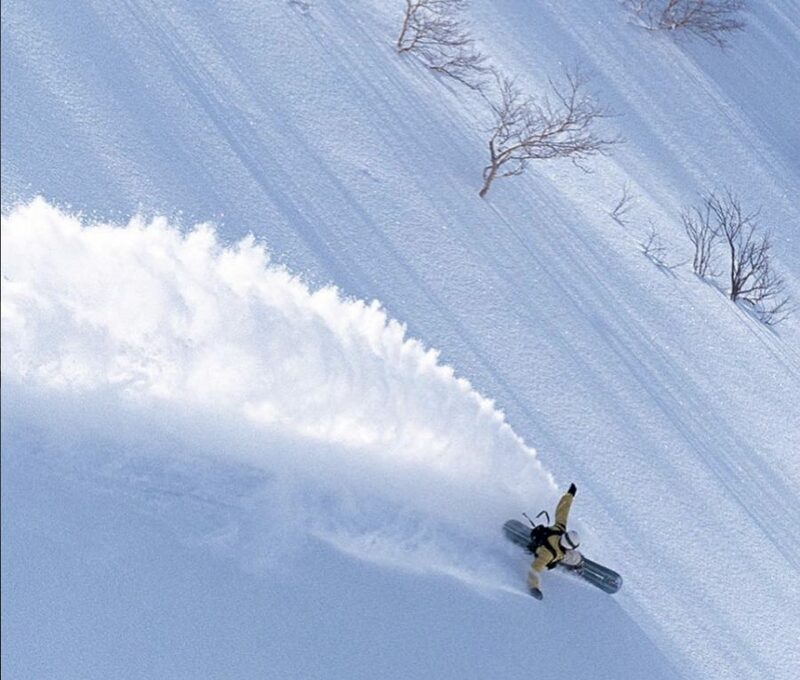 People think snow surfing is just riding these bindingless boards on powder, but no. It’s difficult for us to explain. Also, riding with no bindings is not a new thing; it’s the origin of snowboarding! That’s how it started!